With a little bit of preparation however, you can prepare excellent snacks at home and take them to work so you have them ready when the hunger kicks in. 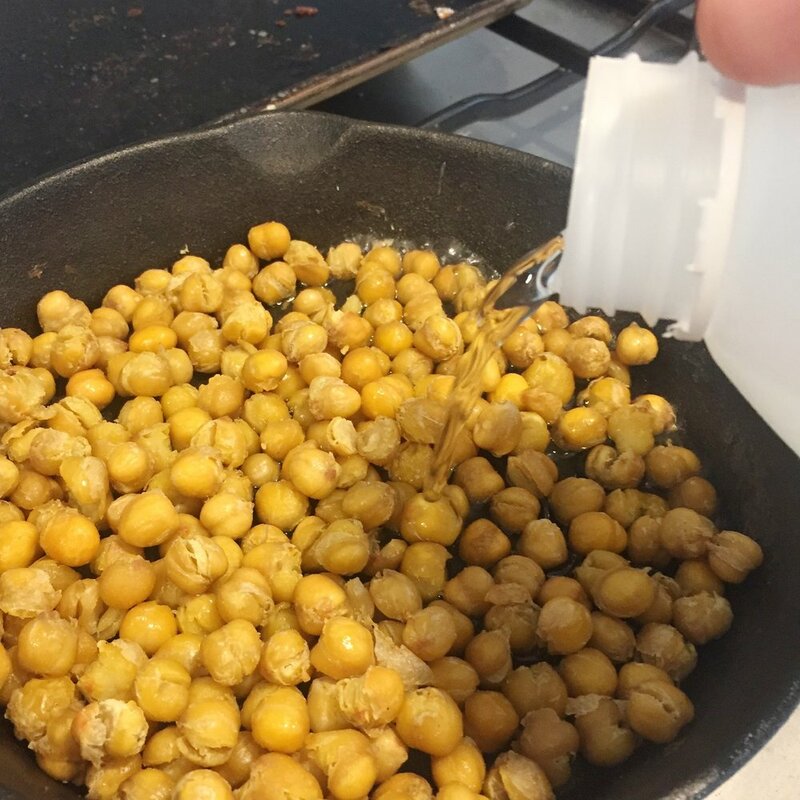 These Salt and Vinegar Roasted Chickpeas are an example of that. Taking around 20 minutes to prepare, you've got a snack ready to munch on for the week while driving or between meetings. You still get that little salt-quench that you so like from packet chips but without the fat and with some extra nutritional benefits. Chickpeas are a staple item in the Mediterranean diet and Middle-Eastern food. Like other legumes, they are high in both fibre and protein and a host of micronutrients such as iron, phosphate, calcium, manganese, zinc, and vitamin K which are all associated with good health. 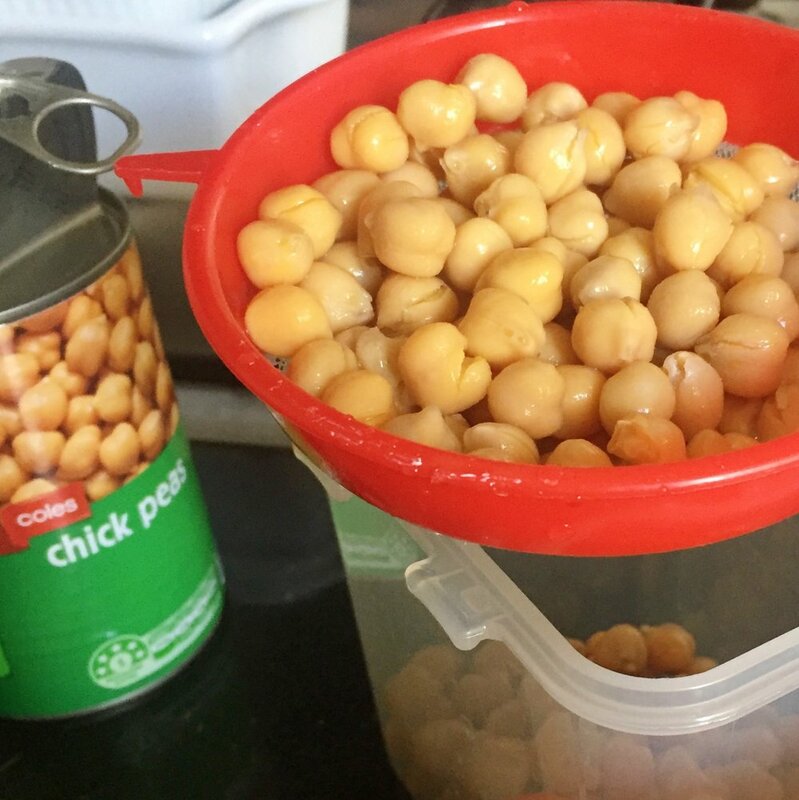 Dry them with paper towel and toss in olive oil using a tupperware container. Lay chickpeas out onto a flat tray or pan and bake for 20 minutes. 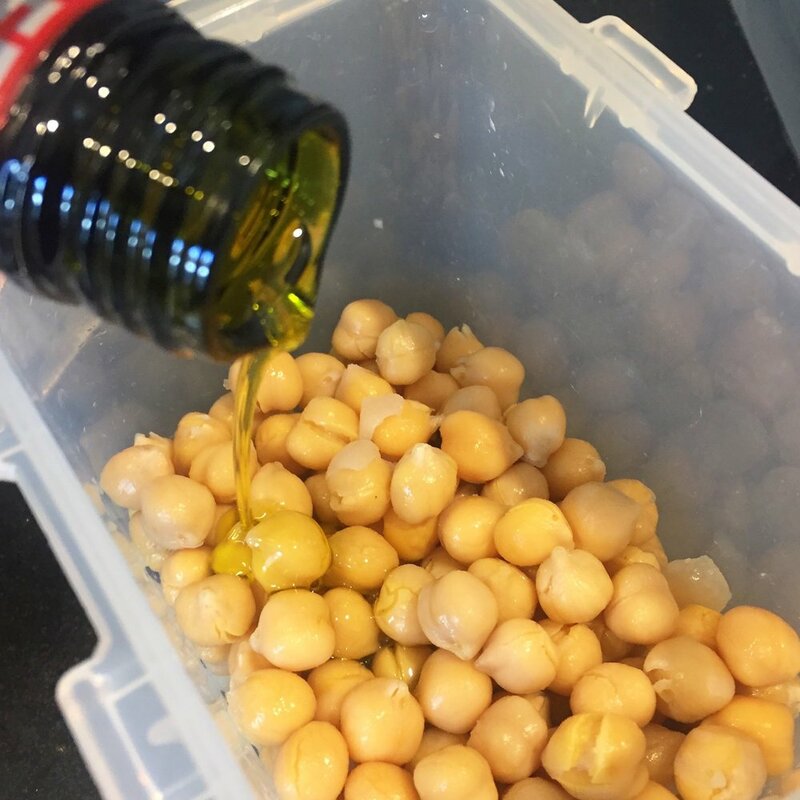 After 20 minutes cooking, remove from the oven and add vinegar and mix to coat chickpeas. Next add salt and again, mix to coat before returning to the oven. 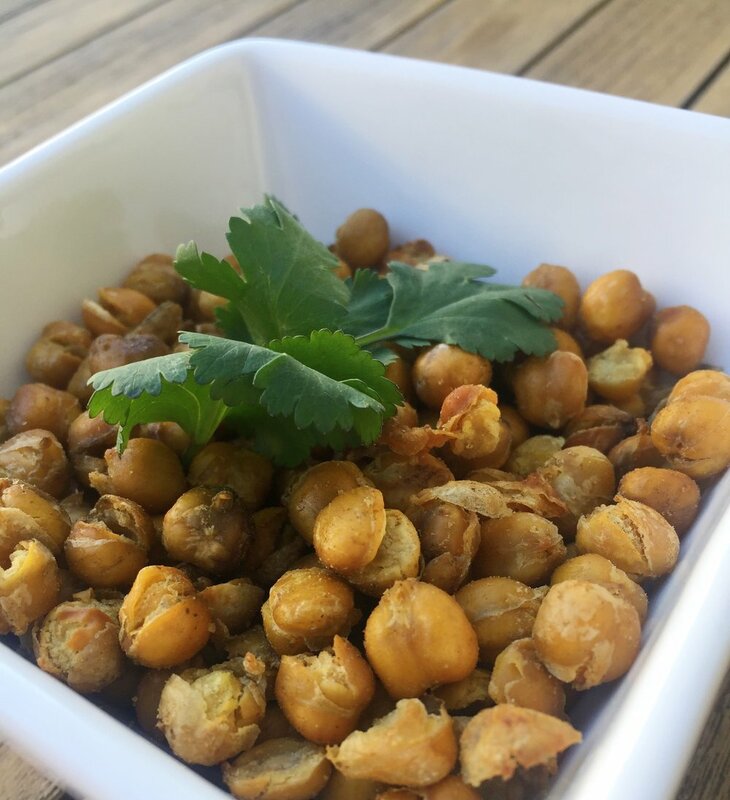 Cook until chickpeas are crunchy - this should be around 5-10 minutes. And there you have it! It couldn't get simpler, right?